Francis Rawdon-Hastings was an Anglo-Irish politician and military officer who served with British forces in the American and French Revolutions, and was the Governor-General of India. Rawdon-Hastings was present at the Battle of Bunker Hill, and is dipicted in John Trumbull's painting, The Death of General Warren at the Battle of Bunker Hill. He was an aide-de-campe to General Henry Clinton, the British Commander-in-Chief in North America during the war, and particpated in the Landing at Kip's Bay, the Battle of White Plains, the Philadelphia campaign, the Seige of Charlestown, and the Battle of Hobkirk's Hill. 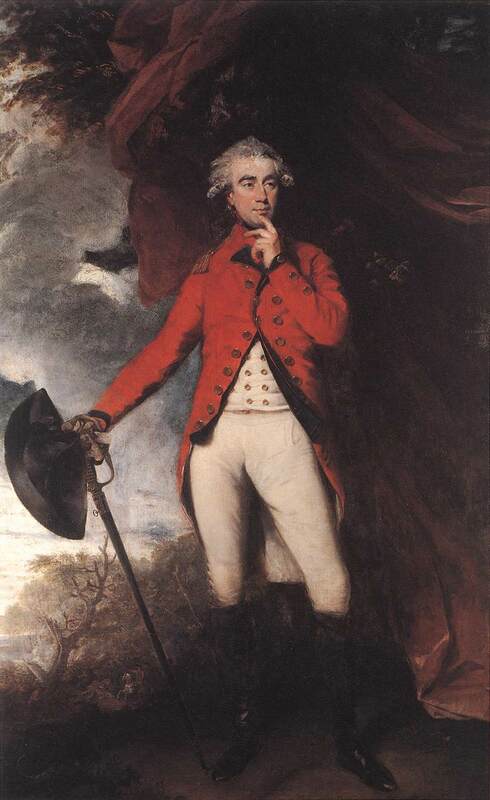 After General Cornwallis moved into Virginia, he left Rawdon-Hastings in command of the South. After the American Revolution he returned to London. In 1793, after France declared war on Great Britain, he joined with British forces to launch an expedition into France. However, the French had supieror numbers and were able to force the British back. He opened up his home, Donington Hall, to the exiled Burbon Princes. Rawdon-Hastings sat in the Irish House of Commons from 1781-1783 and upon the death of his father on June 20, 1793 took his place in the House of Lords and served for three decades. He was a known supporter of Irish issues, including supporting Catholic Emancipation. He was also a long-time friend of the Prince Regent, the future George IV. With his support, Rawdon-Hastings was appointed Governor-General of India on November 11, 1812. As Governor, Rawdon-Hastings supervised the victory of British troops in the Gurkha War, the final conquest of the Marathas, and the purchase of Singapore in 1819. He resided in Calcutta where he oversaw the growth of the British Empire in India. He died aboard the HMS Revenge off of the coast of Naples, Italy on November 28, 1826. In accordance with his wishes, his right hand was cut off and preserved and interred with his wife, Flora Campbell, 6th Countess of Loudoun, when she died.